Every drop counts. Image: wikimedia commons. Israel’s desalination program yields 25% of the water supply, according to Avraham Tenne, Desalination Division of the Water Authority of Israel: “With the touch of a button, we can produce 600 million cubic meters of water.” The land of Solomon’s Temple gains 50% of agricultural water through scientific sewage treatment. It seems to work: Medjool dates, grown with recycled water, are highly prized, and priced, around the world. Drought-stricken California has 80,500 farms; could Israel’s water wizardry improve its agriculture? 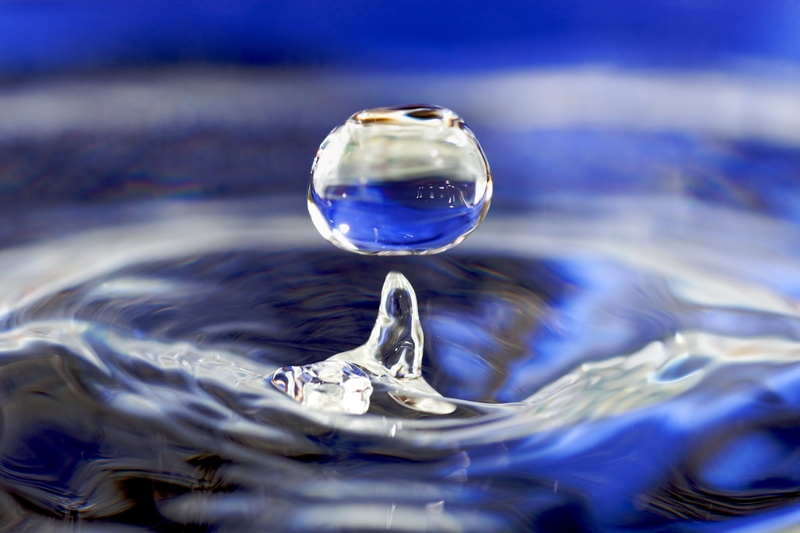 Will Water Act, in Paris, prelude to the United Nations Climate Change Conference, build consensus and action to save the world’s water? Thanks to Ernst G. Frankel for suggesting this post. Signature that changed history: Magna Carta. Image:; wikimedia commons. June 15, 1215. A field not far from London. An agreement recognized by a yielding king, revoked by a Pope, revived by a civil war, Magna Carta would continue to shape rights, legal systems. So too, the Ark of the Covenant in Solomon’s Temple, where enshrined was the rule of law, marked a change in history. Magna Carta’s 39th clause may have been among the first directives of trial by jury. To make certain everyone had access to the law, Magna Carta was proclaimed annually, read aloud in a resounding voice by the sheriff. In modern times, issues raised by Magna Carta continue to evolve, as our world grows more inclusive. Solomon’s Temple was built through an exchange organization. Hebrews met Phoenicians at the dock to receive cedars from barges sailed from Tyre; ships returned laden with grain and oil. Fast forward to the sailing freighter that arrived from rural Vermont to urban New York City on October 26, 2013. In the Kickstarter and Willowell Foundation success that recalls an exchange 3,000 years earlier, Ceres docks in New York City with organic farm bounty; upon return, supplies and materials are welcomed by rural Vermonters (http://vermontsailfreightproject.wordpress.com/). But Solomon’s Temple is inspiring for another reason: the cedars mentioned above were from Lebanon. Solomon’s Temple is one of the first organizations in recorded history to feature cooperative exchange and technology transfer between neighboring nations. Today, where might similar exchange organizations contribute to education and technology, shared natural resources including water, food security, energy, public health and regional disaster response, transport and trail systems, and perhaps even peace? 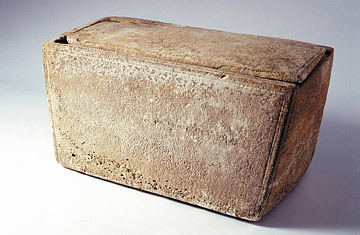 Supposed ossuary of James, Jesus’ brother, from Time, at time.com. The selling of relics is usually associated with the Catholic Church, and seen as a obsolete practice. Recent events have proved contrary to this belief. In March 2012, an Israeli antiques dealer was acquitted of charges for forging Biblical and early Jewish relics, including items said to be from the first temple, Solomon’s Temple. The controversy began in 2002, when the Royal Ontario Museum in Toronto displayed a box with an Aramaic inscription claiming that the bones inside belonged to James, Jesus’ brother. Red flags were raised and an investigation began that prompted many museums to re-evaluate their own collections. The authenticity of many of the objects in question is still up for debate, and Biblical archaeologists appear divided.